The COMSATS International MUN – CIMUN was held from the 18 to 21 February 2016. 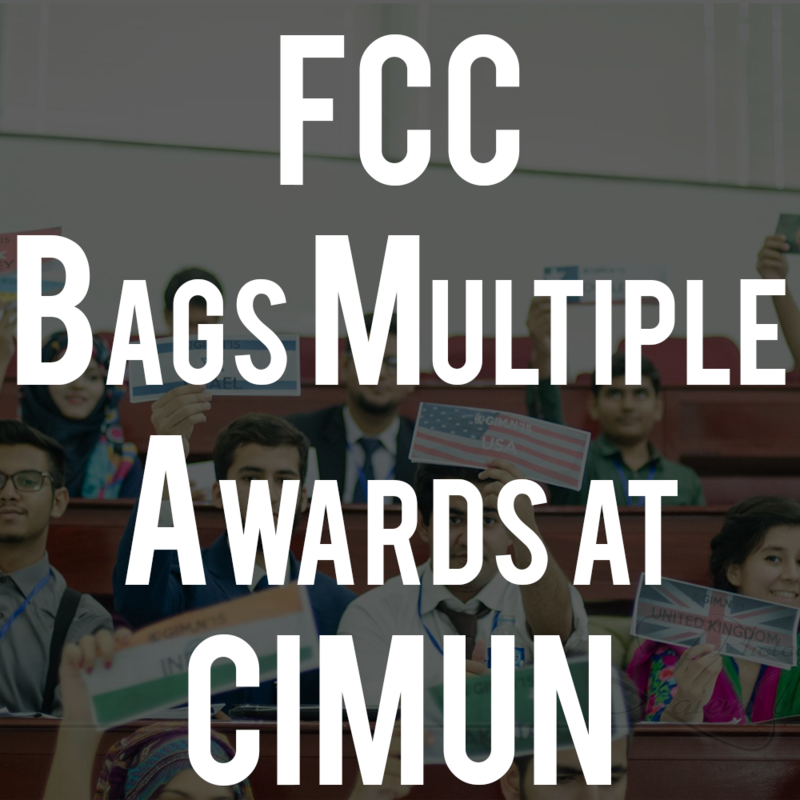 It gives us immense pleasure and pride to announce that each delegate from the FCC delegation brought home an award. The awards included Four Outstanding Delegate and five Honourable Mentions; a proud night for us all, indeed. Their efforts over those four days were not only useful but also fruitful. We are even more proud to say that most of them were first time speakers. This proves that hard work, dedication and perseverance takes precedence over experience. Well done team!